Apart from the 790 Duke, KTM is very likely to introduce the 390 Adventure in the Indian market in 2019. 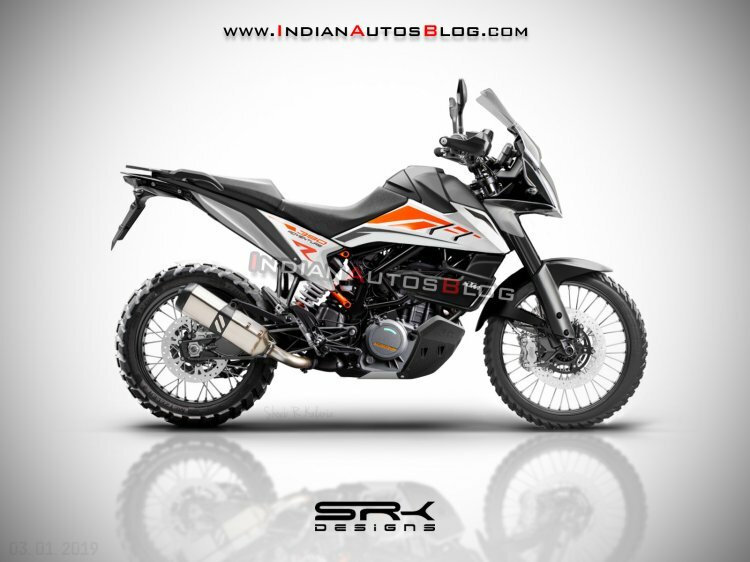 The test mule of the 390 Adventure was spotted in Pune earlier this month, and we created a digital render of the motorcycle to give you a glimpse of what the final product could look like. In recent updates, IAB learnt that the KTM 390 Adventure could arrive in India in the second half of 2019, sometime around July. KTM India declined from making any comments about the launch timeline. Digital render of the KTM 390 Adventure imagines how the final product could look like.The motorcycle will be manufactured in India. It is too early to pinpoint a price range but you can expect the motorcycle to arrive in the sub-INR 3 lakh (ex-showroom) bracket. The test mule spied in India came with alloy wheels while the motorcycle spotted in Europe used wire-spoke units. Hence the motorcycle could arrive in two variants – 390 Adventure (with alloy wheels) and 390 Adventure R (with wire-spoke wheels) – a strategy that the Austrian brand uses for its higher displacement adventure models. The former will be a road-biased tourer while the latter will be designed to take the beaten path. That said, both models would share the chassis, suspension and braking systems. The 390 Adventure and the 390 Adventure R will be built around a trellis frame with a bolted sub-frame. The adventure duo would feature 19-inch front and a 17-inch rear wheel combination to strike a balance between on- and off-road riding. Styling cues would be identical too, and both, the 390 Adventure and 390 Adventure R would be inspired from bigger KTM adventure motorcycles. The fascia will include a full LED headlight with a split style design along with LED blinkers. The tail section too will feature full LED lighting. The cockpit will come equipped a TFT display that would be identical to the unit that was seen on the 390 Duke although the unit on the 390 Adventure duo could receive turn-by-turn navigation system. Mechanical specifications would be shared with the 390 Duke and thus, a 373.2cc motor would perform propelling tasks. For reference, the single-cylinder, DOHC, 4-Valve, liquid-cooled engine on the Duke delivers 43.5 hp of power at 9,500 RPM and 35 Nm of peak torque at 7,250 rpm. However, the unit on the 390 Adventure could get gear ratio with a larger rear sprocket. KTM is reportedly expected to make an announcement about the 390 Adventure in March 2019, which is when we should hear the launch timeline for the motorcycle. 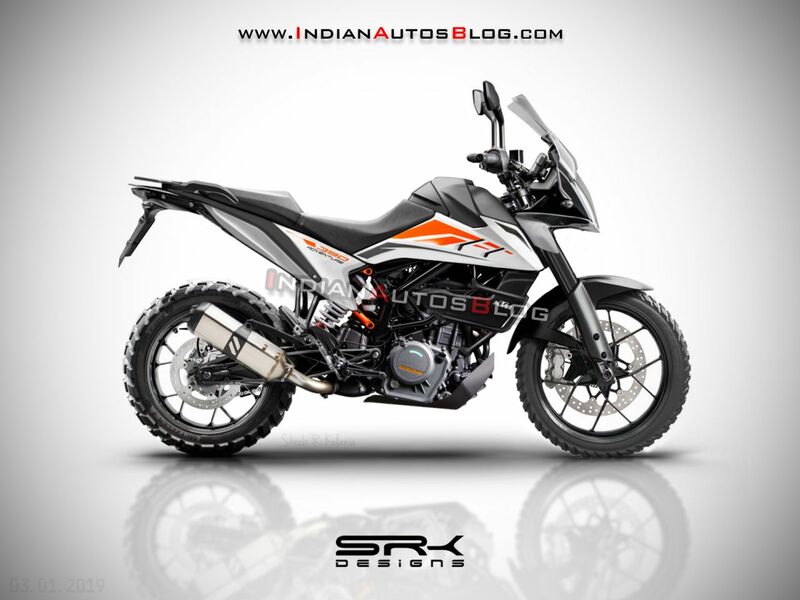 Similar to the bigger KTM adventure series, the 390 Adventure could arrive in two variants. One would be road-biased motorcycle while the other will be designed to take the beaten path. Also read: Should KTM consider making the KTM RC790? In more updates, Husqvarna would also arrive in India in 2019 and could eventually have up to 6 models in the country, said Rajiv Bajaj, Managing Director, Bajaj Auto.